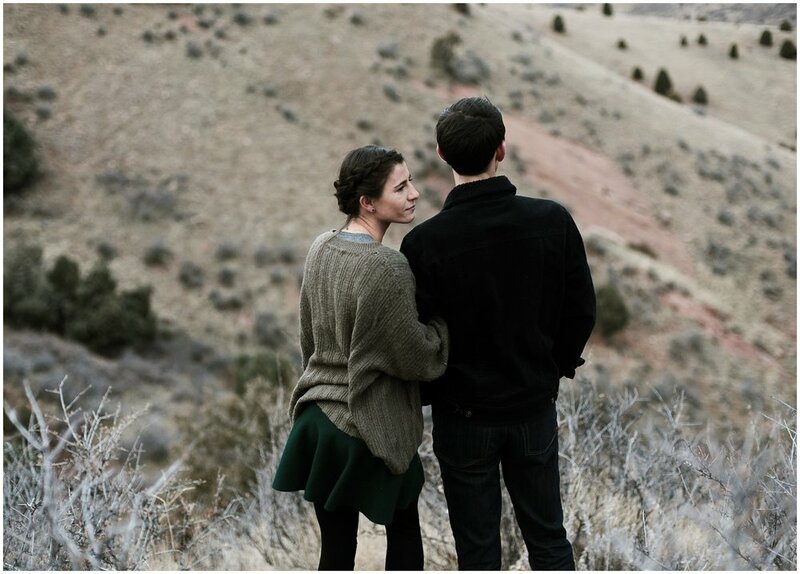 You know you have found The One when you’ve found the person you can go anywhere and do anything with. 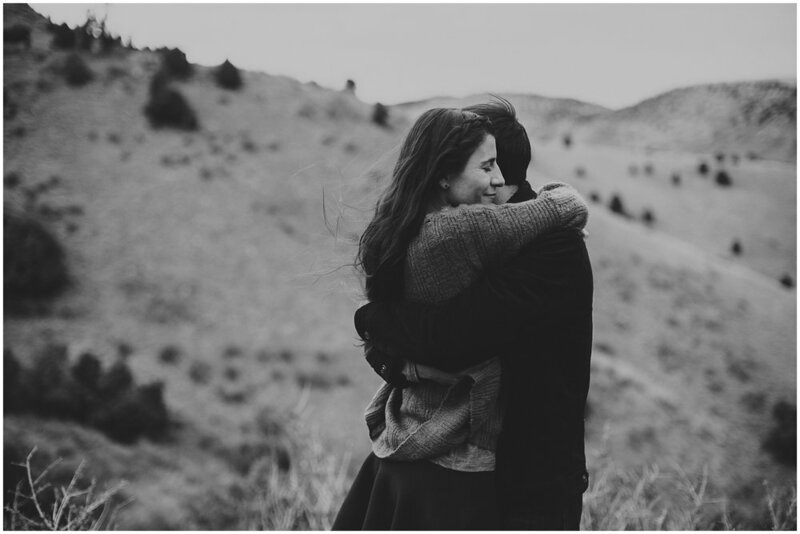 You feel like you are home when you’re together no matter where you are in the world. I truly believe that couples who have fun together find real happiness as they let all other cares in the world slip aside. It’s amazing to have a “forever adventure partner” who will take on the greatest heights and craziest challenges with, all the while laughing as you go. Addison and Dan have found a relationship like that. 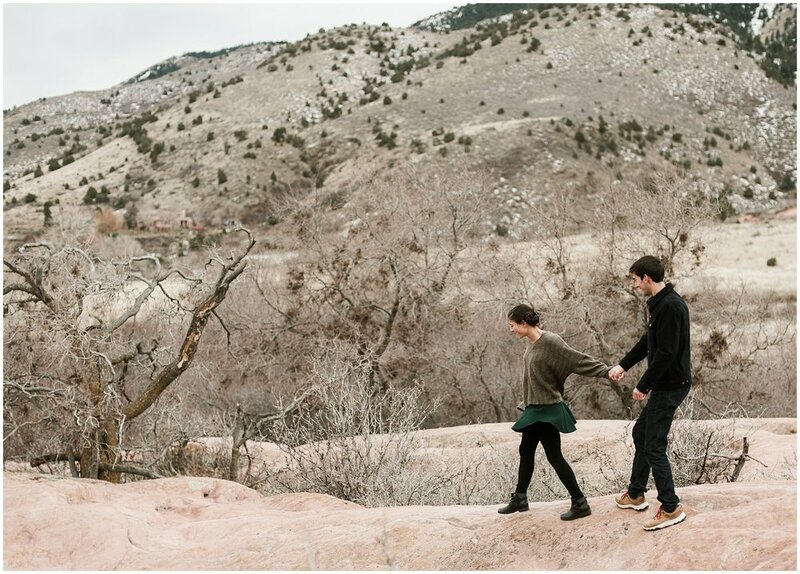 For this heart-melting engagement session, Addison and Dan romped around Red Rocks, braving the cold. They were up for anything, and the chilly weather had nothing on them. 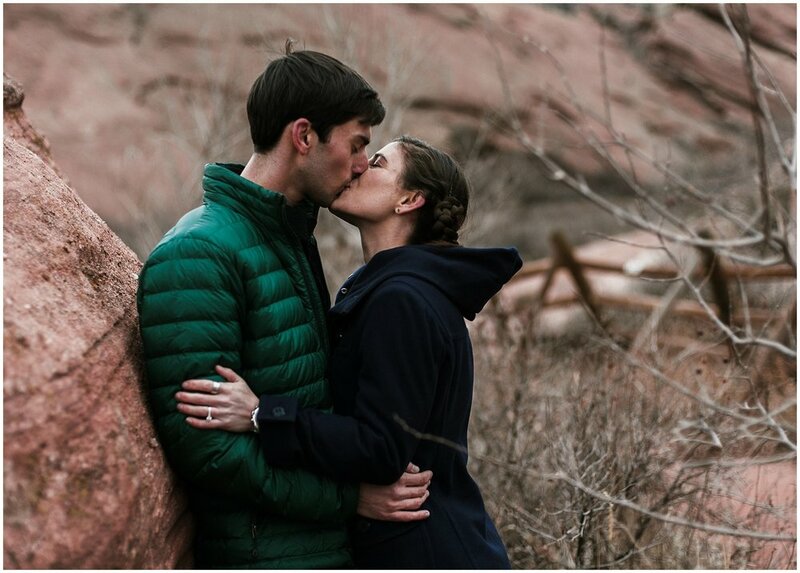 The Red Rock Amphitheater in Morrison Colorado provides the perfect backdrop for outdoor-loving couples. The rocky red layers create pops of color and fun textures against the grassy hills. And the rock formations are perfect for exploring. They are the sweetest couple. The engagement phase is so much fun with its unbridled show of excitement and bliss. 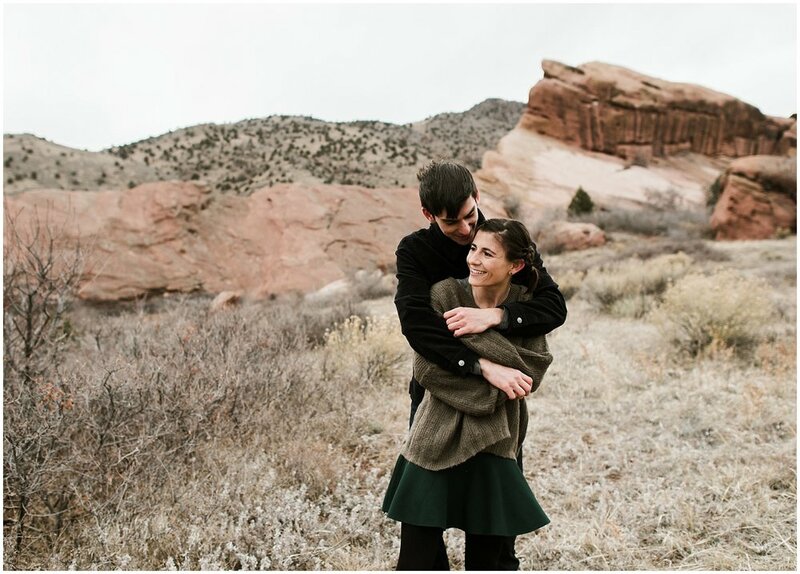 They were so easy to photograph—more than half the photos in this collection were not posed still shots but rather photos of their relationship in action as they raced around the rocks and spent time focused on each other. Addison is a petite beauty, and Dan couldn’t keep from lifting her up, twirling her around, and kissing her throughout the shoot. It’s easy to see that these two lovebirds are a perfect match! 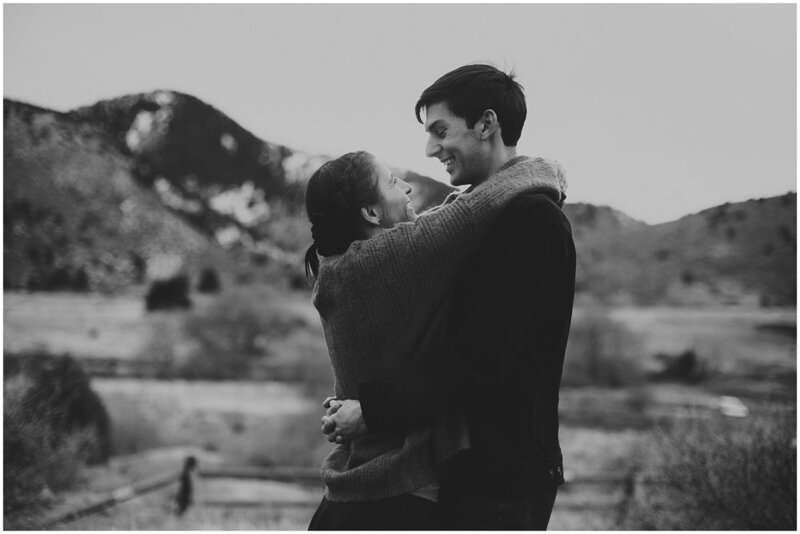 I can’t wait to shoot their mountaintop wedding at the Mary Jane Ski Resort in Winter Park, Colorado. July will be here before we know it. 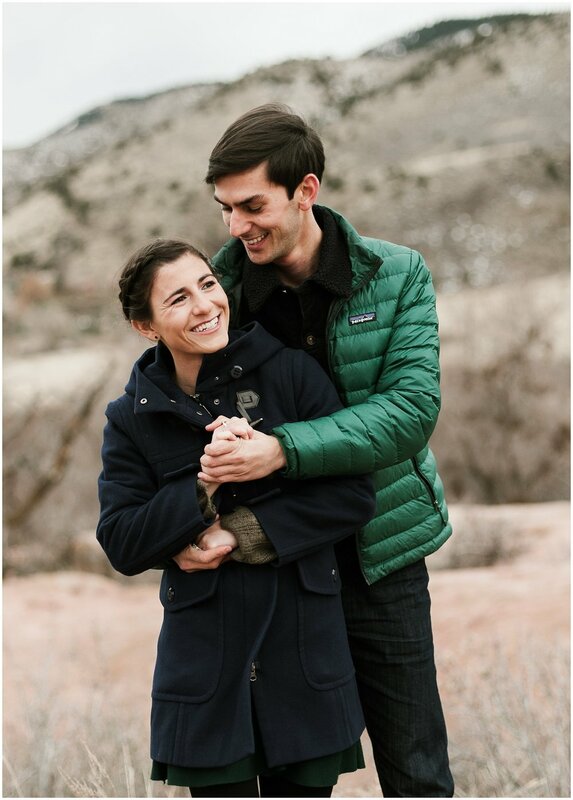 Happy wedding planning, friends—see you soon!